The study of meteorology and analyzing the science behind the atmosphere is vital to our everyday lives – we rely so much on knowing how the weather is going to behave, from little things such as what to wear tomorrow, to much more critical things such as whether to postpone a flight due to bad weather conditions. How do I sell used meteorology books for cash? Here at WeBuyBooks, we’re fascinated by meteorology, from atmospheric and radar, to dynamic, climatology and environmental… And if you’ve got hoards of used meteorology books that you no longer need, we have a tempting proposition for you! Sell used meteorology books on the go with our mobile app! 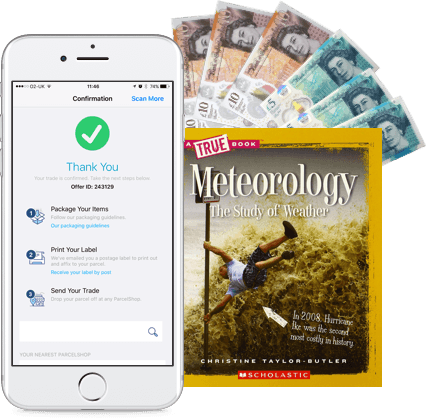 It transforms your phone’s camera into a clever scanning device, meaning you can get valuations for your used meteorology books whenever and wherever. So, even if you’ve got piles and piles of used meteorology books to sell, it won’t take you long to swap them for cash! We exchange used meteorology books for cash! 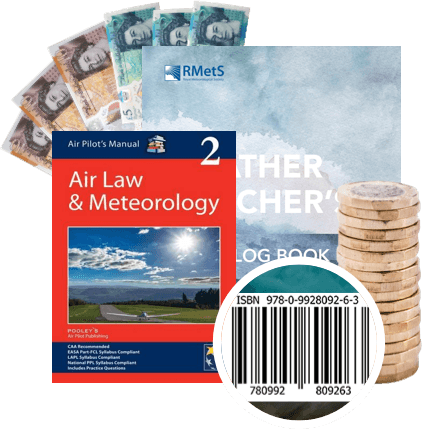 Meteorology may not be simple, but selling unwanted meteorology books for cash with us couldn’t be more straightforward. When selling on auction websites, you run the risk of being displeased with the final amount your used books fetch. But here at WeBuyBooks, there’s no predicting the weather… with our instant valuations you always know the score. 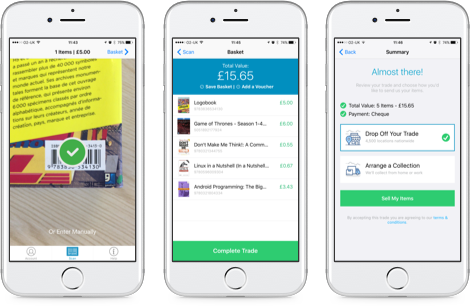 Simply enter the ISBNs of your meteorology books into our online selling basket, or scan them using our handy app, and receive a valuation in seconds! We understand that you meteorologists can’t afford to take yourselves away from your important work for long, which is why we make selling used books for cash super speedy, from valuation to money in the bank – the whole process can be done and dusted within mere days. So, look no further than WeBuyBooks if you’ve got tons of unwanted meteorology books that you no longer need – maybe you’re now a fully fledged meteorology expert and no longer require your whole collection, or perhaps you need to make room for new books on your buckling shelves, or maybe your reason for selling is simply that you want to make some quick cash with minimal effort… We don’t mind whatever the reason, we just want to help you exchange your meteorology books for cash! 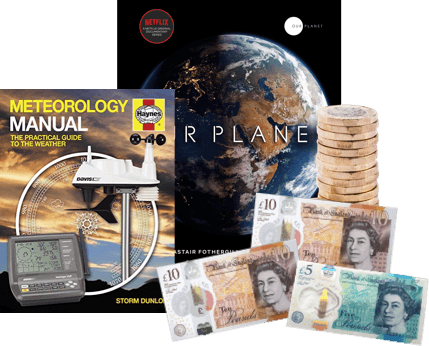 Send your Meteorology Books, DVDs, games and CDs to us and we’ll send you some money. Less clutter at home and more money – what’s not to love about that? So don’t wait – sell online today with We Buy Books. If you’d like some extra help, then please don’t hesitate to get in touch. Just give us a call on 01706 248281.